Do I live in the New City? 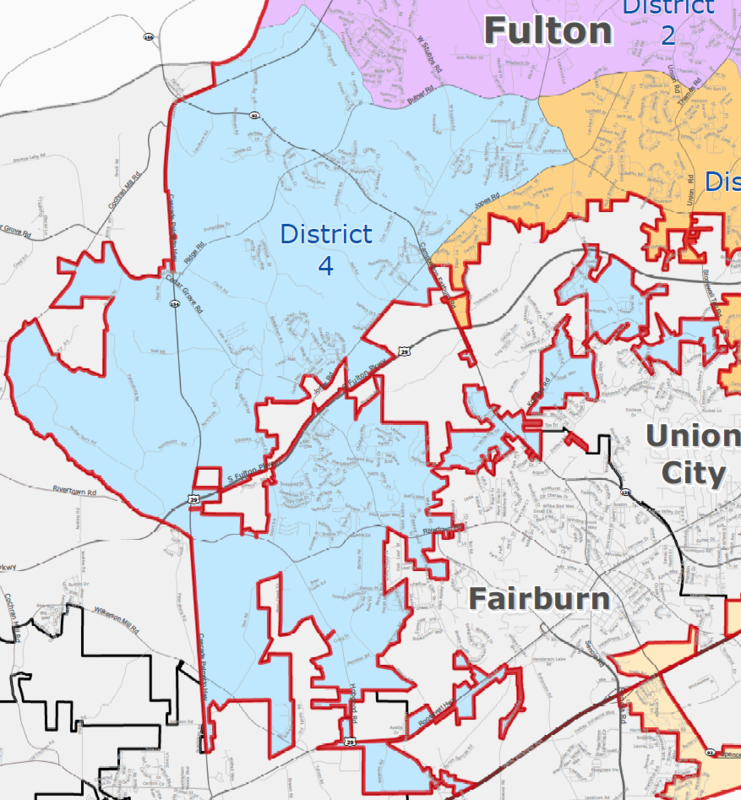 Step 1: Click the button below to find what Voting Districts you live in for City, County, State & Congressional Elections. 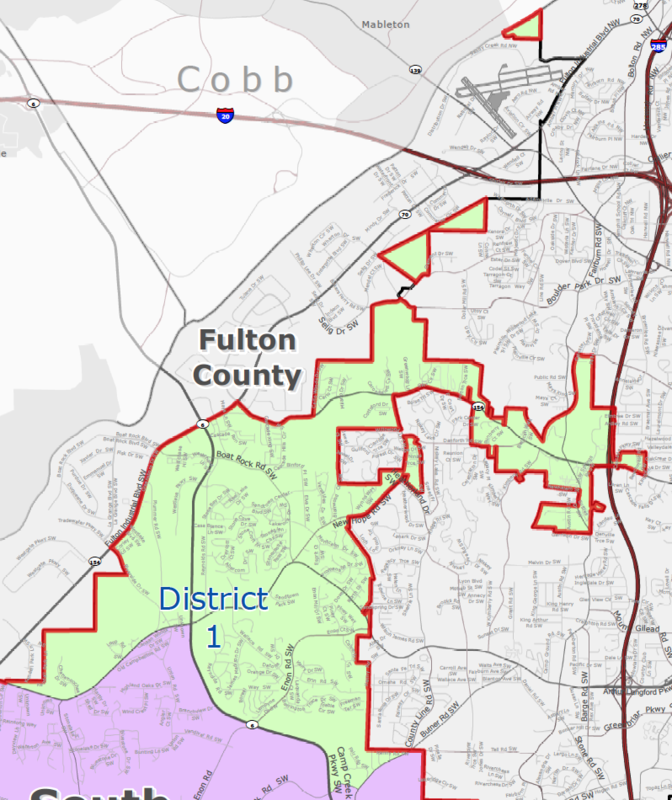 Step 2: Enter Your Street Address in the Fulton County Voting Districts Map. Scroll down to see your City Voting District. 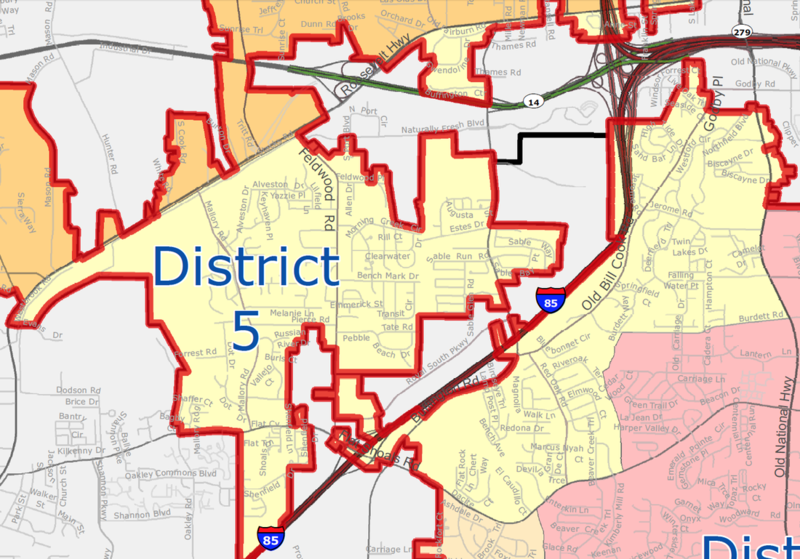 Click on Map to view Zoomable Map. ​Click on Concilperson's name to send an email. ​Those who paying close attention to South Fulton's transition to cityhood remember earlier plans to have one, citywide service that included recycling & bulk trash collection, all included in homeowner's property tax bills. So what happened? Atlanta owns the sewer system and water reservoirs, and Fulton County runs the library system, leaving Police, Fire & Garbage Collection. These three services are also services that those who fought for cityhood vowed to improve. By having these three services, the City of South Fulton secured access to the Local Option Sales Tax (L.O.S.T.) described above, which totaled over $25 million last year. These millions in additional, annual tax dollars allows South Fulton to spend on more police, community programming and economic development. Who Can Do the Job? 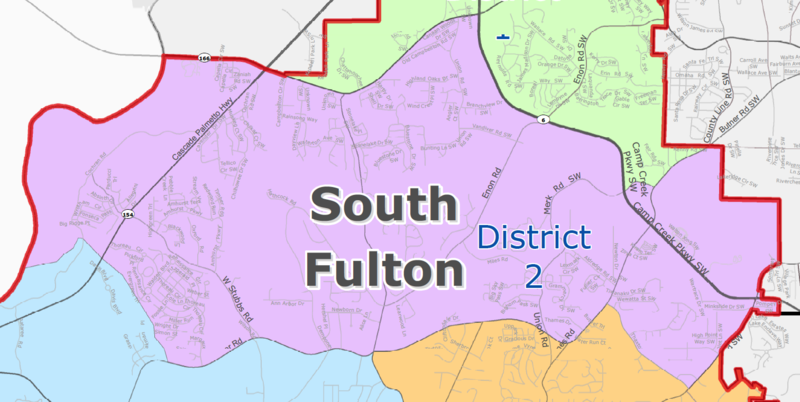 The first thing to keep in mind whenever discussing the City of South Fulton is our map. Unlike other new or neighboring cities, the City of South Fulton is nearly the same size as Atlanta, covering nearly 100 square miles. 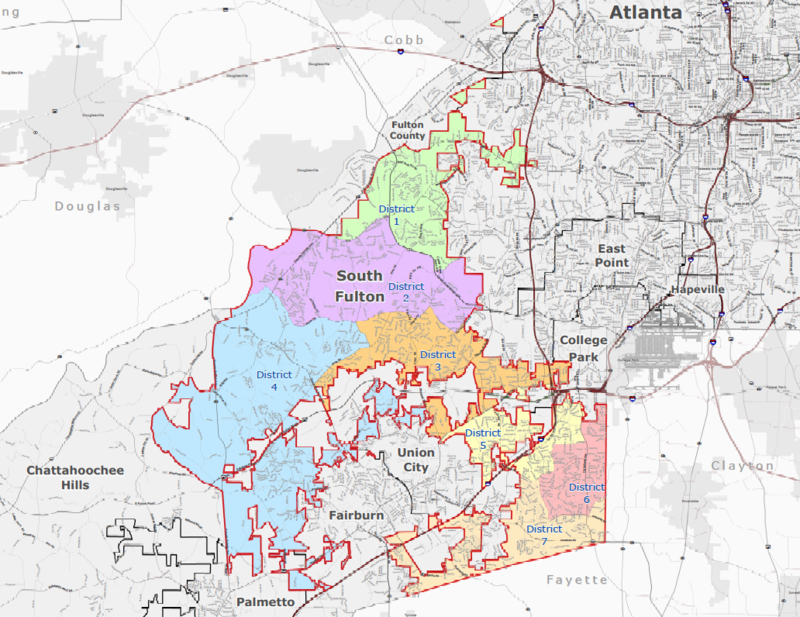 Anyone offering to do business or provide services in South Fulton must have a plan to cover our entire city; including its countless odd edges, where some streets are South Fulton on only one side of the street, or for only a few blocks. 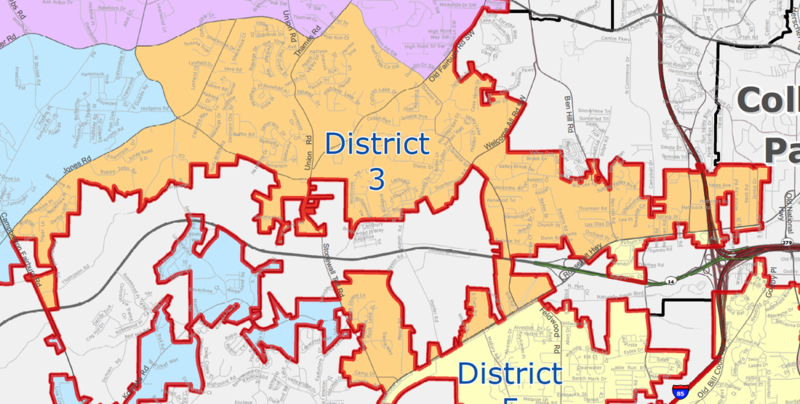 This is very different from the City of Sandy Springs, whose population of 100,000 people is compacted into a neatly defined area one-third the size of our city. It is usually easier and more cost-effective to deliver services to more densely populated areas — which is why most Americans live in cities in the first place. At the beginning of the Sanitation process, a Request for Proposal (RFP) was written to solicit bids from companies to do the job. Each proposal would be scored from 0-100, based on criteria provided by City Council & staff. By the end of the RFP period, only three companies — Advanced Disposal, Republic Services and Waste Industries — submitted citywide proposals. These "Big 3" were the only companies large enough to handle providing service to residents across the entire city. While everyone agreed that the price per customer should be the chief criteria used to judge each bid, some members of Council argued for other concerns to be included. Councilman khalid failed to persuade City Council to give additional points to companies whose workers had higher wages & safer working conditions. However, a majority of Council did agree to give additional points to "local" companies. From the first announcement that South Fulton was looking to "contract out" garbage collection, Councilmembers were approached by small sanitation companies already doing business in the area who worried they would be put out of business if the City chose one, citywide trash company. These "small haulers" lobbied Councilmembers in and out of Council meetings, warning that they would go bankrupt if forced out of South Fulton by big corporations. Then they lobbied citizens. 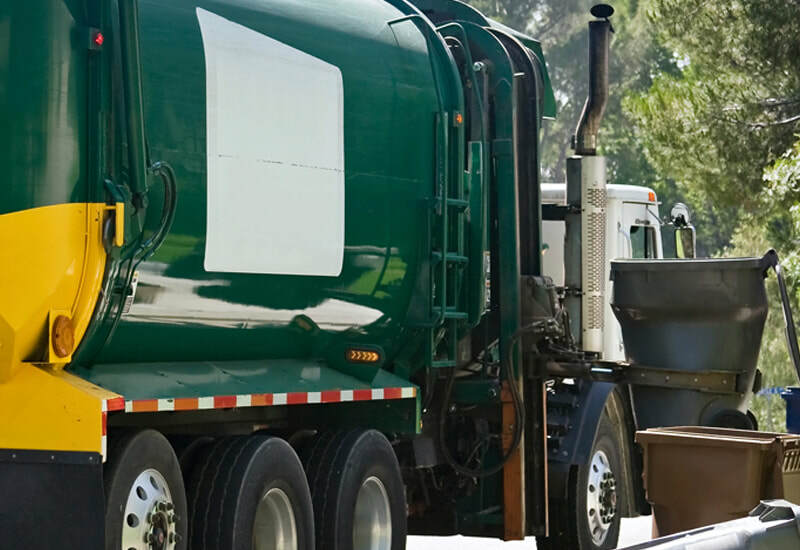 As the deadline for Council's decision to pick a Sanitation Provider loomed, South Fulton residents began hearing from their beloved garbage man that he might soon be out of a job. Many residents loved their local provider and praised them for having lower prices & better customer service. Concerned constituents began to flood City Council phone lines and email inboxes, demanding the right to keep the current garbage collector. Many on Council caved to this pressure from constituents and revised the Request for Proposal (RFP) to give "local preference" in the awarding of the contract(s). However, it also meant that larger companies with local operations would receive a similar consideration — an unforeseen consequence some would later regret. For years, Fulton County Residents have been able to drop off trash for as little as $3.50 for 3 bags. However, this service and the cost of operating the facility was heavily subsidized by the Fulton County Commission, who decided last year to end operations at the facility on December 31, 2018. After objections from several residents at December meeting, the Fulton Board of Commissioners decided to extend operations of the Merk/Miles facility until March 31, 2019. Merk/Miles was formally a landfill, but not operates as a Transfer Station. Trash dropped here is later transported to landfills & recycling centers outside the City of South Fulton. City officials are currently investing the cost to keep the facility open. Councilman khalid has suggested that Merk/Miles might be a cheaper alternative for homeowners who cannot afford the quarterly bill for private trash collection, but that the low cost of $3.50 for trash drop off would likely increase to make up for the lost funding from the County. ​Work is underway to reconfigure the Fulton County offices at 5440 Fulton Industrial Boulevard into South Fulton, Georgia's first City Hall. Fulton County Police, Fire, Planning & Zoning and code enforcement — all of which will be transitioning to city control this year — ​ are already housed in this building. 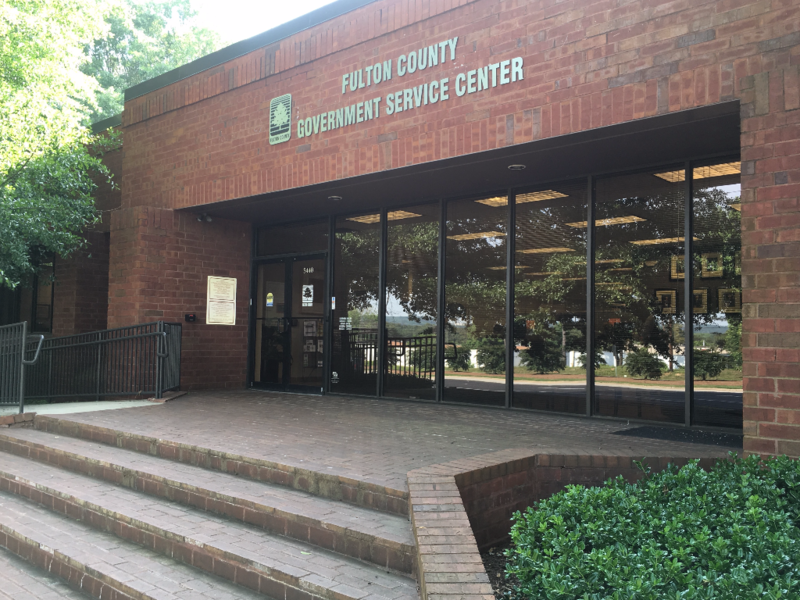 Fulton County has agreed to transfer the building's lease to South Fulton; and to keep us in the building, its owner has agreed to lease & build out an additional 10,000 square feet of space at hugely discounted rates. All this means huge savings of money and time for the City, which allows us to focus on building other city infrastructure and improving our services. Most new cities wait 7-10 years before building a city hall "from scratch," so they can build their financial reserves. This was the case with John's Creek and Sandy Springs. Q: Where did the name South Fulton come from? A: Concerned citizens began suggesting names over a year ago, even before the November 2016 vote that created our city was taken. Over 250 names were submitted. City Council hired a Marketing Firm to narrow down the list to 20 names, which City Council voted on this November. Georgia Law prohibits us from just listing a bunch of names on the ballot. In order to add any question to a ballot, a voter must collect signatures from 20 percent of registered voters – that would be 23,815 for each city name to appear on a ballot. To get around this, khalid conducted an online poll for the Top 20 names on the shortlist. More info on the process and name can be found HERE. 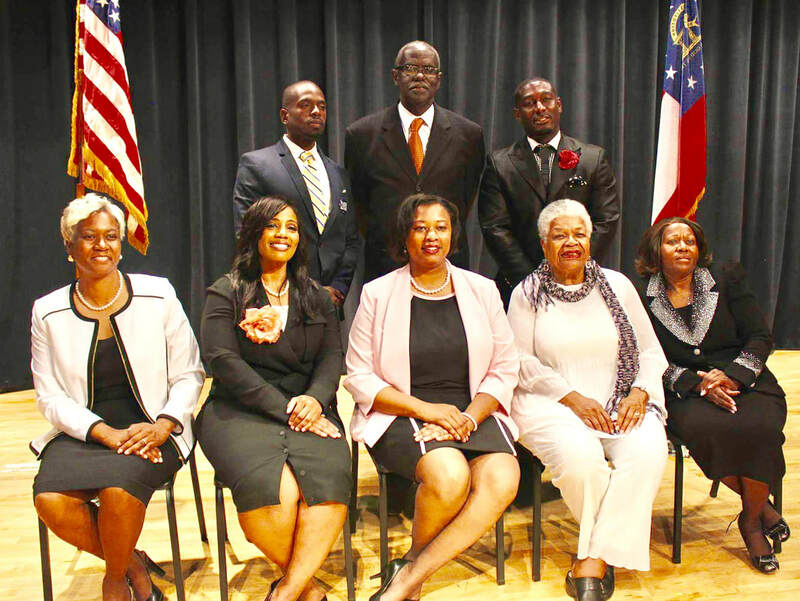 Though all seven Councilpeople voted for the name "Renaissance," the name was vetoed by the Mayor; and the name "South Fulton," which was used to describe the area in the legislation written to create the city, became the city's official name. Q: When & where are City Council meetings? Can I attend? A: Council Meetings will be held the 2nd & 4th Tuesday of each month at 7PM. All Council Meetings are open to the public, including Council Work Sessions, which are currently scheduled for 5PM every 2nd & 4th Tuesday, just before the Council Meetings. Work Sessions are used to discuss Issues, but votes on any given issue are only taken at Council Meetings. The first 30 minutes of each meeting are open for Public Comment. The first few meetings are expected to be filled to capacity, so citizens are encouraged to arrive early! Seniors & disabled citizens are encouraged to schedule rides with MARTA Mobility by calling (404) 848-5826. To sign up for this service, please call (404) 848-5389 Monday-Friday from 8:30am to 5pm. Trips must be scheduled by 5pm the day before. Q: What services would the City provide? A: By November 2018, our city will run the Police, Fire, Parks and Recreation, Code Enforcement, Public Works, Planning, Zoning, and Economic Development department, and City Court (which handles misdemeanor offences like traffic violations, code enforcement, marijuana & loitering).The jail, schools, health department and most courts, will remain run by Fulton County. A: No. Unincorporated Fulton county has been paying for Police, Fire & other county services on our own since 2007 (when cities like Sandy Springs & Milton “broke away” and formed their own departments). Should residents decide we want more services than we have now, you culd see a slight increase in your property taxes. However, a provision of GA House Bill 514 (our city’s charter) prohibits City Council from raising property taxes more than 1 mil (1/1000th) without a citywide vote. For a $100,000 house whose Assessed Value is $40,000, such an increase would be $40 more per year. 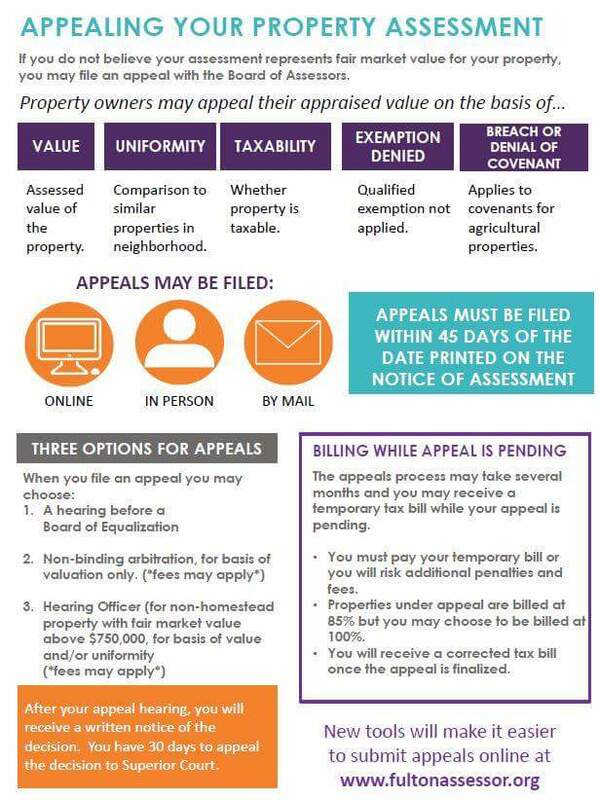 ALL Senior Homestead Exemptions that currently apply to your county property taxes will automatically transfer to the City of South Fulton. In August, the South Fulton's Procurement Manager, Anthony Kerr, scored the proposals an announced the winner of the contract: Advanced Disposal. Ironically, the very thing that gave Advanced an advantage in its proposal — its local operation of a waste transfer station — may be a key factor in the company's failure to close the deal. ​The Council voted to reject the Procurement Manager's recommendation and called for a Special Public Meeting with all interested providers to question them directly and vote for a recommended provider. However, just as the meeting was about to begin, Mayor Bill Edwards made a speech warning against the meeting. The meeting was canceled. Councilman khalid questions "Sandy Springs" model of privatized garbage collection & warns how implementation of such a program will be problematic. From the very beginning, Councilman khalid was an outspoken advocate for a single, citywide garbage collector. As the selection process broke down, he urged colleagues not to abandon the principle that a single, citywide provider was the best option. In a speech before the vote to adopt this "Sandy Springs model", khalid warned it could fail in ways city leaders had not yet imagined. His predictions did not take long to come true. The next blow came from the small haulers. Upon implementation it became clear that the goal of their lobbying was never to compete with the Big 3, only to keep the turf they had. 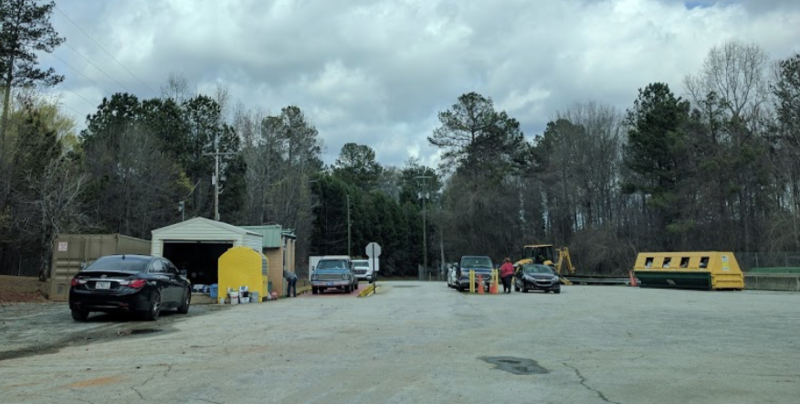 Unlike Sandy Springs, who has multiple vendors competing in a much smaller, more densely populated area, South Fulton's 100 square mile service delivery area had long ago been carved up by sanitation companies. Decades before we became a city, companies like Waste Industries bought the rights to "routes" (the right to drive trucks in particular areas) from smaller companies like Latham. The small haulers had no intentions of challenging big corporations for these routes. Only one company, Fulton Sanitation, expressed intent to expand its operations and compete for new business. For the others, it was simply not financially feasible to drive dozens of miles to collect trash at a few scattered addresses if they could not be guaranteed the right to service the entire area. Many small companies understood these financial realities from the beginning, even though City Council did not. The final blow to the citywide model came in companies decision to pass along the city's new "infrastructure fee." Many cities charge garbage collectors this fee for the wear & tear on city streets by heavy garbage trucks. With no contract language or negotiation to stop them, most of the private garbage companies passed this 5 percent fee on to South Fulton residents. As a result, most South Fulton citizens have the same garbage companies to choose from today that they had before cityhood — but at higher prices. This current arrangement of Citywide Garbage Collection is set to expire in 2019. City Council is collecting feedback on how to move forward in 2020. Discussions of future service will also include how the city might use some portion of the $25 million in L.O.S.T. funds it receives for having citywide collection might be used to subsidize the price of garbage services for the elderly or less fortunate. Councilman khalid & others are still pushing for a single citywide provider. In light of recent events, his ideas appear to be gaining support. Please take the survey below to share your thoughts on how the city should move forward in providing citywide garbage collection. The new City of South Fulton, Georgia is moving to citywide trash (sanitation) service. Please share your thoughts on exactly how we should do it. I don't mind Switching Providers for lower costs or better service. I like my Current Provider and do NOT want to change. I Take My Trash to Merk Road or Another Location I do not have Trash Collection Service. Your email is used as a Unique Identifier only. Your votes will be tabulated separately. If you request a response to your comments, your email may be used to contact you. ​Why Not Call a Citywide Vote for New City Name? ​What About a Non-Binding Vote? ​The suggestion has been made by several others that the city hold a non-legally binding Election where voters could give direct feedback. A proposal gaining popularity in recent weeks is to open polls at City Hall (5440 Fulton Industrial) and the South Service Center (5600 Stonewall Tell) for citizens to hold a citywide vote on the name. Voters would select between 5 names, with a citywide vote occurring around the MLK Holiday in mid-January. Many have asked: Why not just put the name two a citywide vote? In order to place a referendum (question for voters) on an official ballot, Georgia State Law O.C.G.A. §36-35-3 requires citizens to collect around 17,000 signatures (15 percent of the city’s 119,073 Registered Voters) for each proposed name to be added to the ballot. Additionally, even if either of these solutions was pursued, O.C.G.A. § 21-2-540(c)(2) limits such ballot questions to the following dates in 2018: May 22 and November 6. Neither of these would give us enough time to transition departments. Remember: we are legally & financially obligated to set up Fire, Police & Sanitation services before November 2018. 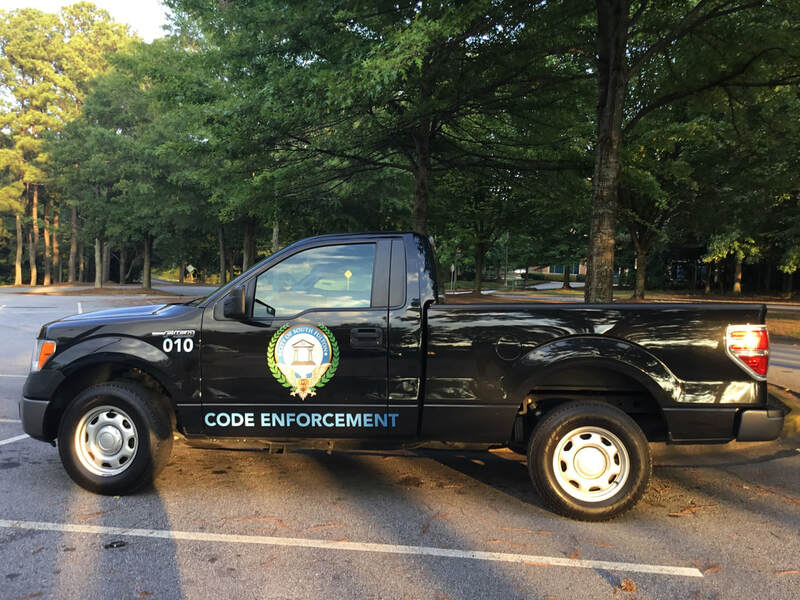 $5000 was spent to place City Seals on 18 Code Enforcement trucks. Hundreds of Police, Fire, Parks and Public Works vehicles will need similar decals before they can be used by the City. However, a Non-Legally Binding Election means that even if thousands of people came out to vote for the City Name, our City Council would still be required to hold its own vote. No Councilmember would be obliged to cast a vote for the top choice of citizens. 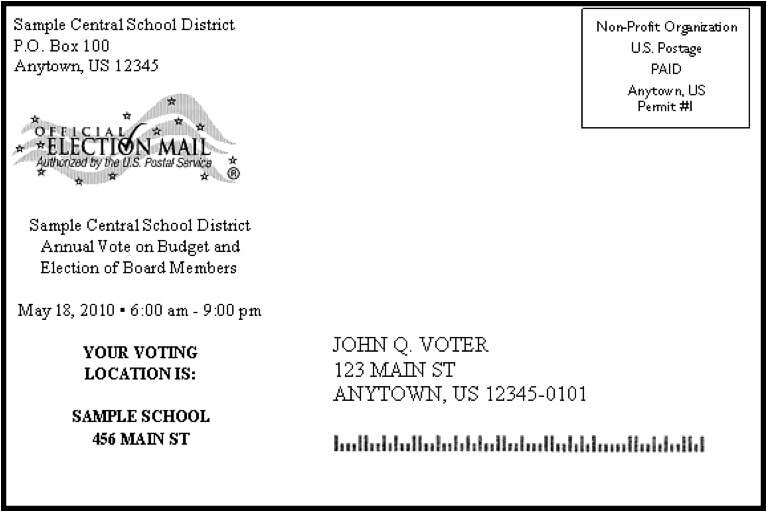 Sample Notice of Election postcard. How Would Residents Be Notified? One of the biggest complaints of our residents is the lack of communication from the city about the name change. Though much information about the city is available online, and in electronic newsletters like this one, residents have pressed for paper notification of such events. Indeed, in a legally binding Special Election, a Notice of Election would be sent to every eligible registered voter, with the date(s) of the Election and the location(s) where s/he could go vote. To print & mail such a notice to all eligible voters would cost the city around $50,000. What City Names Would Go On the Ballot? Nearly 300 different names were submitted by residents who were aware of our renaming. Countless other names were brought by others as they found out about the renaming. Many residents were displeased with the process Marketing Firms Vivo 360 & firstClass Inc. used to narrow the list to the 20 most popular names. How many names would be placed on the ballot for a citywide election — 5, 50 or 500 — and what process would be used to select them? If no name received over 50 percent of the popular vote, would a runoff be held? These are some of the crucial questions that must be answered, in addition to figuring out who would supervise the voting and counting of the ballots, before any such election could be held. A Schoolhouse Rock® for adults, South Fulton 101 TV is a series of short videos created by Councilman khalid to educate South Fulton citizens on how their new city government works. Watch the latest South Fulton 101 video here! Is Crime Increasing as Fulton County Police Leave? Major Crimes are down in South Fulton from 2016. Contrary to South Fulton's overrepresentation in local news' crime reporting, and exaggerated rumors of police officers transferring to other departments ahead of a Fulton PD's transfer of power to the City of South Fulton, there has been no statistical increase in crime. In fact, as the data above displays, there has actually been a reduction in all major crimes according to the most current statistics available. Though a few police officers have transferred to departments in other locals, Fulton County police continue to perform well beyond their small number. "This isn't to say we don't have some work to do," explains Councilman khalid. "However we cannot let baseless rumors and gossip drive our public policy." Did City Council Cut the Budget of the Parks Department for 2018? Watch former City Manager Ruth Jones explain Park Funding increase. The budget for Parks & Recreation was increased by over $569,125 this year. So, where does this myth come from? The City held 3 Budget Hearings this September, in preparation for the FY2018 Budget (which begins October 1, like a school year). During the 2nd Budget Hearing, it appears that City Council voted to take money from the Parks & Recs Budget for its Legislative Specialists/Council Aides. Howerver, this is because in the middle of the budget process, $1 Million went "missing" from the City Budget. After this vote was taken, Councilmembers questioned the City Manager about the missing funds. The money was "found," double-budgted in another department. The Interim City Manager, Ruth Jones, resigned shortly thereafter. Click the link below to view our city’s Final Parks Budget for FY2018 (Oct 1, 2017-2018). In November 2016, voters approved an additional 0.75 cents Transportation Special Projects Local Option Sales Tax (T-SPLOST) for road improvements in Fulton County. Click here to review a Complete List of South Fulton T-SPLOST Projects, which include nearly $10 million to resurface South Fulton's busiest streets, and another $24 million to repave and improve roads in South Fulton subdivisions. A description of South Fulton improvement projects begin on page 59 (Unincorporated Fulton). Tier 2 projects on Old National include bridge improvements on Bethsaida Road near Highway 139 (pg 119), $1 million to improve the intersection at Bethsaida & Creel Roads (pg 121), and another $1 million in improvements along Flat Shoals Road (pg 126). 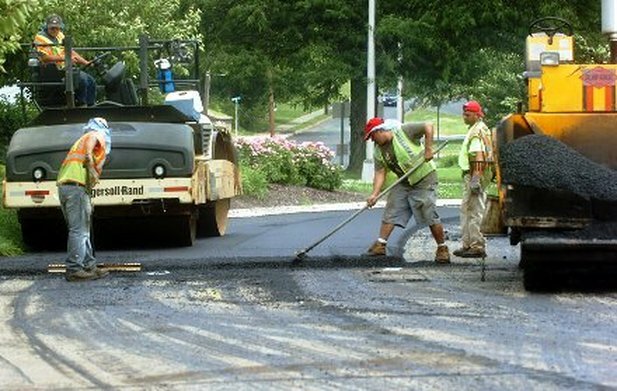 The Fulton County Public Works Department used the Paving Conditions Index to prioritize streets in the worst condition to be paved first. More streets will be paved in coming years. Click the button below to see if your street is on upcoming paving lists. Streets are listed by neighborhood/subdivision. If you feel your street needs immediate attention, please call our Public Works 24/7 Hotline at (470) 552-4311. Some projects, such widening of Old National's sidewalks, and extending them to Highway 138 at the end of Fulton County, are not on the T-SPLOST project list. There is a second list of additional street projects called Capital Improvement Projects. 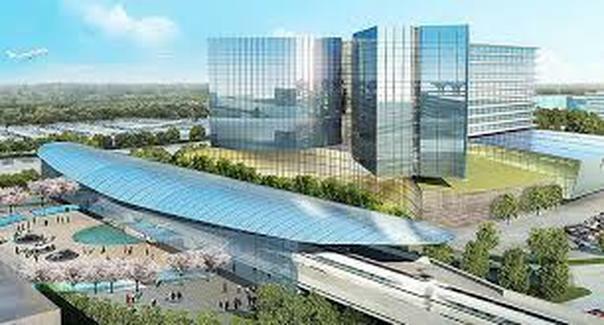 These projects were not funded by Sales Taxes; and Fulton County alleges that South Fulton must "chip in" 20 percent of the total costs of such projects for them to be completed. According to Fulton County, South Fulton's 20 percent obligation to fund these projects is over $7 million dollars. 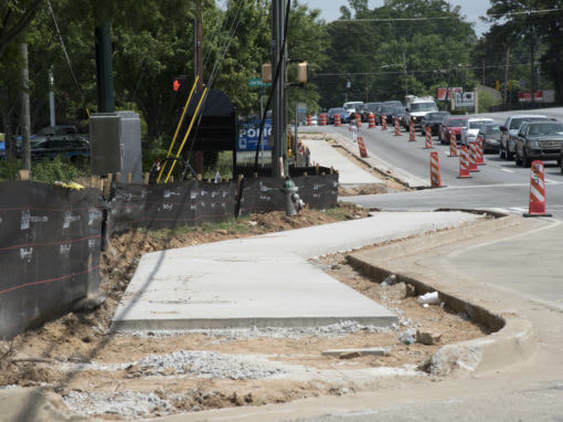 Though the sidewalks on Old National from College Park to Flat Shoals Road are nearly complete, Phase II of the side walks — from Flat Shoals to Highway 138 — has not yet begun. Funding for this phase of sidewalks is over $1 million. However, according to Fulton County Public Works Director David Clark, only about $210,000 is needed in 2018 to purchase right-of-ways from Flat Shoals to Highway 138, with another $138,000 due for other allegedly unfunded projects throughout the city. View more details on this story in khalid's Budget report, and a complete list of funding requests for such projects below. Developers have once again set their sights on the land around our airport — the world's busiest. Aerotropolis Atlanta is a mixed-use development, including a 4-star InterContinental hotel, class-A office space, and travel plaza adjacent to the airport’s main domestic terminal and MARTA station, which along with the Porsche headquarters, is part of a larger vision by Invest Atlanta, Delta Airlines, Georgia Power, SunTrust Bank & others to transform the vicinity around the Airport on Atlanta's Southside. The initiative is broken into two segments — ​ an organization of land owners in airport areas Business Districts, or CIDs in Fulton & Clayton counties, and a larger coalition working on a more comprehensive Economic Development plan. Visit the Fulton County Tax Assessor's website at www.FultonAssessor.org, or simply click the link below to access the Online Services > SmartFile tool (see steps below).